As an avid animal lover,Loren has been writing books and magazine articles about various animals for over 30 years. Her current personal menagerie consists of six beloved dogs, numerous pet birds, a rabbit, and a Koi pond. She has been horseback riding on and off throughout her entire life. Five years ago, Elwood, a Quarter Horse, joined the family. "The bond I've developed with Elwood is like no other," Loren says. 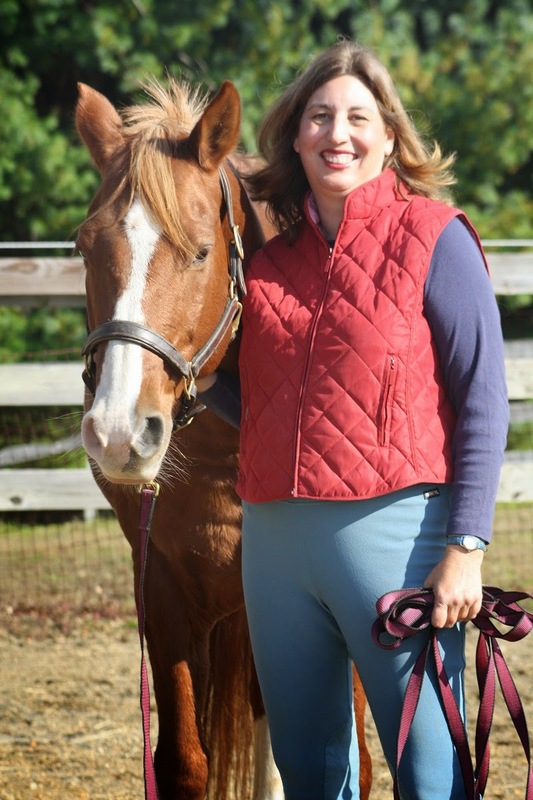 "Since he is my first horse, I've created a strong support team to care for him including: my trainer, barn manager, vet, farrier, even an equine massage therapist! I now also have a strong social network of friends who also own and love horses. I bring all of my experiences with Elwood, and horses in general, to my writing about them." Loren is the author of a new Enslow series, Horses That Help with the American Humane Association, written for the upper elementary reader. Each title in the four book series introduces the reader to a different working horse. By the way, Elwood is on the cover of Therapy Horses. The other three titles cover draft horses, police horses, and performing horses. These titles are available in library, paperback, and eBook formats. They can be found through your preferred vendor, local bookstores, enslow.com, Amazon, and Barnes and Noble.